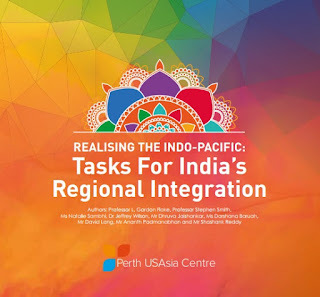 The following chapter is part of a PerthUSAsia report titled "Realising The Indo-Pacific: Tasks for India's Regional Integration" that brought together emerging scholars from Australia and India to explore India's regional integration into the Indo-Pacific. 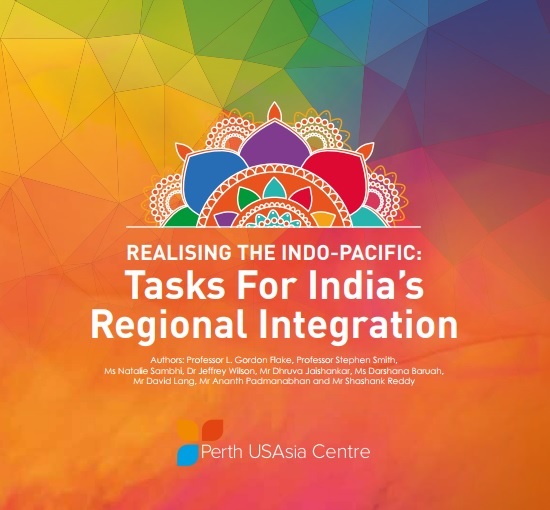 The United States of America, the People’s Republic of China, and the Republic of India are the world’s three largest countries by population and will soon comprise the world’s three largest economies. Critical inflection points in their origins as modern world powers date from between 1945 and 1950. In the immediate aftermath of World War II, the United States found itself one of two global superpowers, along with the Soviet Union. In 1945, the United States’ mainland was left relatively unscarred; its war economy was booming; it had a strong military presence in Europe and Asia; and it had a proven atomic weapon capability. Two years later, in 1947, India achieved independence from Britain; it was born a unified democracy but under the horrific and violent cloud of Partition. By 1950, it had cast off the last vestiges of formal British rule to become a republic, although it retained many of its colonial-era administrative, bureaucratic, and military structures. And in 1949, Mao Zedong ended decades of civil war by declaring the founding of the People’s Republic of China and installing a powerful revolutionary government in Beijing. The revolution (or ‘liberation’) did not end there, but continued with the annexation of Tibet and involvement in the Korean War a year later.